When I started scribbling for webbeat.tv, I had no idea about this TV channel. Later on I searched for the logo; I discover that this is a famous TV show hosted by Pelpina Trip. 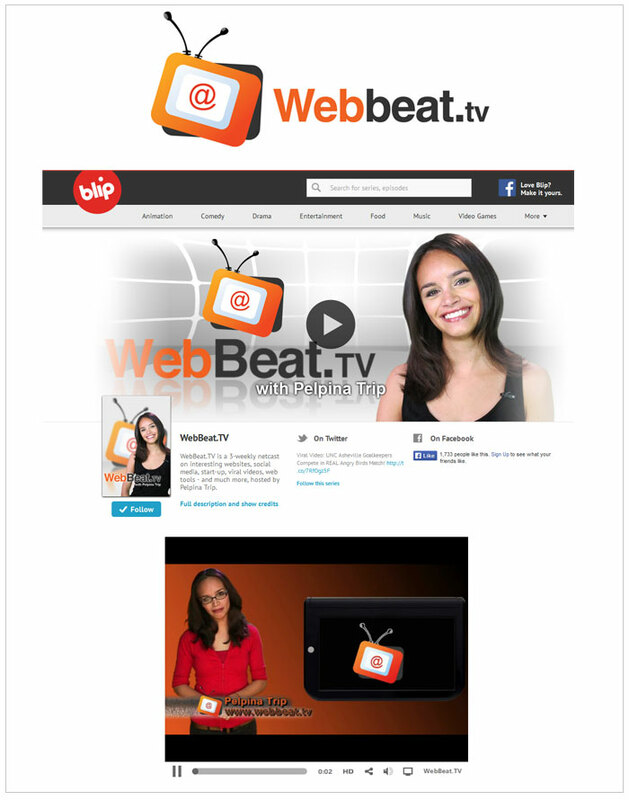 WebBeat.TV is a 3-weekly net cast on interesting websites, social media, start-up, viral videos, web tools – and much more. I like this logo very much & done some extra hard work to design this logo. I was very happy to see the logo in action. Thanks to Pelpina and wish a great success for her show.